The fifth program of its kind, the 2009 event consisted of a teleconference briefing, followed by 13 days of travel in Indonesia and five days in Timor-Leste. The group spent nine nights in Central Java, which included three nights in Jakarta, one night in both Bandung and Tasikmalaya, three nights in Jogjakarta and one night in Surabaya. The journalists were able to report on unfolding news events, such as the lead up to the Indonesian presidential elections, the ongoing campaign to dismantle terrorist group Jemaah Islamiyah, the dire conditions in refugee camps in Timor-Barat, the closure of the last refugee camps in Timor-Leste and corruption allegations directed at the prime minister of East Timor, Xanana Gusmão. 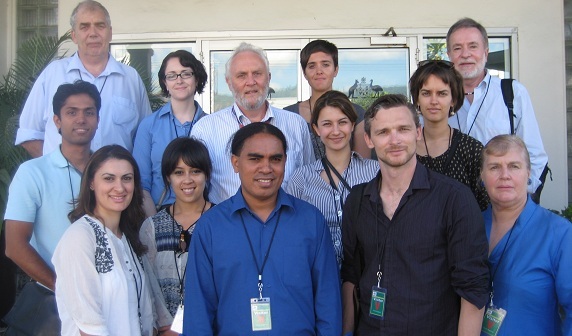 Seven of the journalists stayed on to take part in a two-day mentoring program with East Timorese journalists organised by the APJC in collaboration with the International Centre for Journalists.